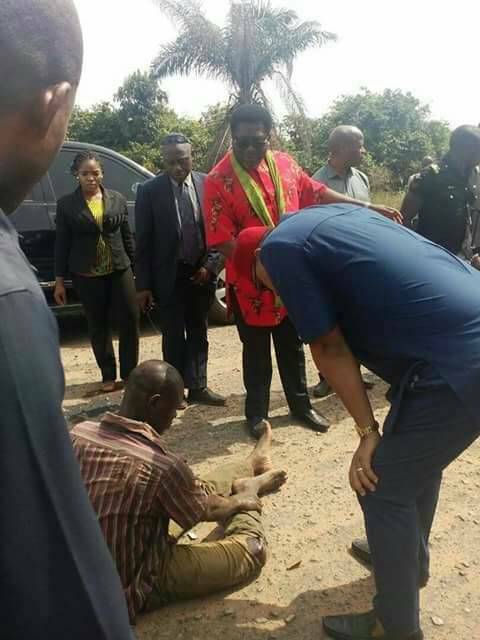 The deputy Governor of Imo state Prince Eze Madumere on Saturday rendered a humanitarian service at Mbaitolu local Government. According to reports Prince Madumere while returning from an event stopped his convoy at Ifekala Road Mbaitolu local Government to rescue an accident victim. The accident victim identified as Mr. Chibuzo Uzozie was rescued by the deputy Governor and taken to a nearby hospital. The Deputy Governor further gave him some cash to enable him settle his hospital bills.